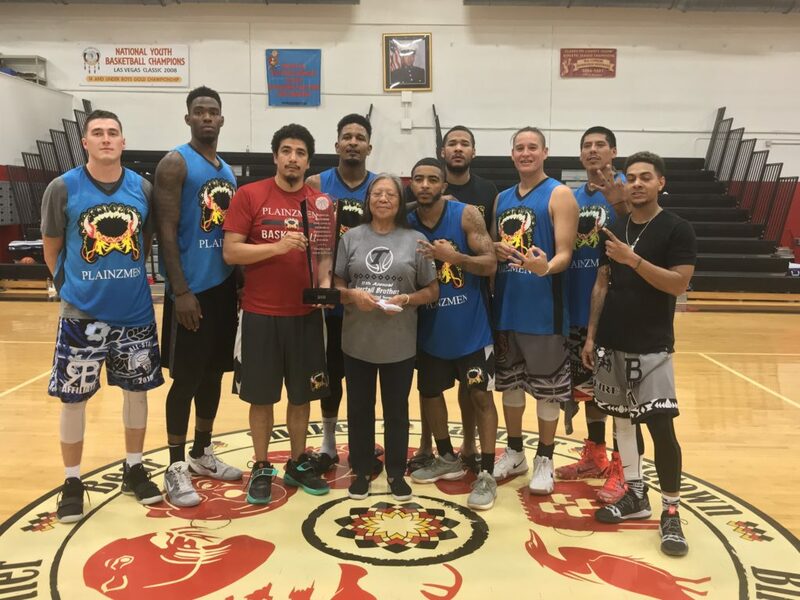 BIG CYPRESS — The 11th annual Tigertail Memorial Basketball Tournament lasted into the wee hours of the morning Sept. 16 before the Plainzmen edged G-Force to claim the men’s championship. 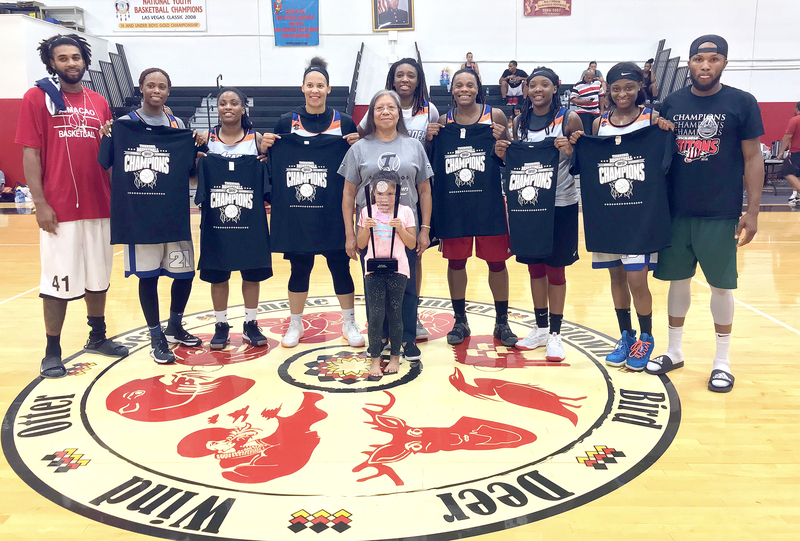 The three-day tournament, which was open to Native American and non-Native players and teams, actually went into a fourth day as the title game finished about 3 a.m. at the Herman L. Osceola Gymnasium on the Big Cypress Reservation. Led by 18 points from Wayne Runnels Jr., five Plainzmen scored in double figures in the 85-76 win. Other standouts for the Plainzmen, which won the tournament for the third straight year, included Craig Foster (15 points) and Jesse Heart and Derek Cooke Jr. with 11 points each. G-Force was led by Gerald Williams, who poured in 20 points. The men’s division featured 14 teams while the women’s division had five teams. 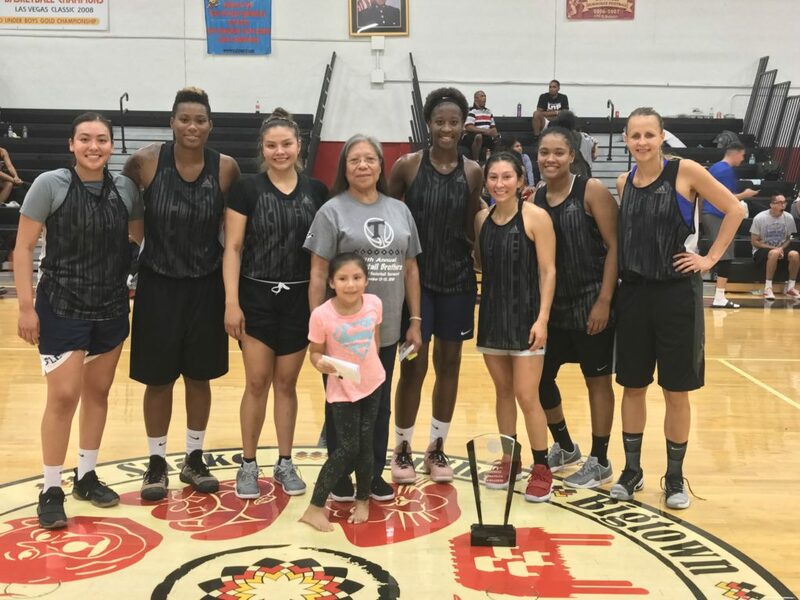 Buckets of Atlanta won the women’s championship game, 79-70, against the Lady Ballers. Jenna Plumley, of the Lady Ballers, scored a game-high 29 points. The tournament started Sept. 13 with the legends division (age 40 and up). 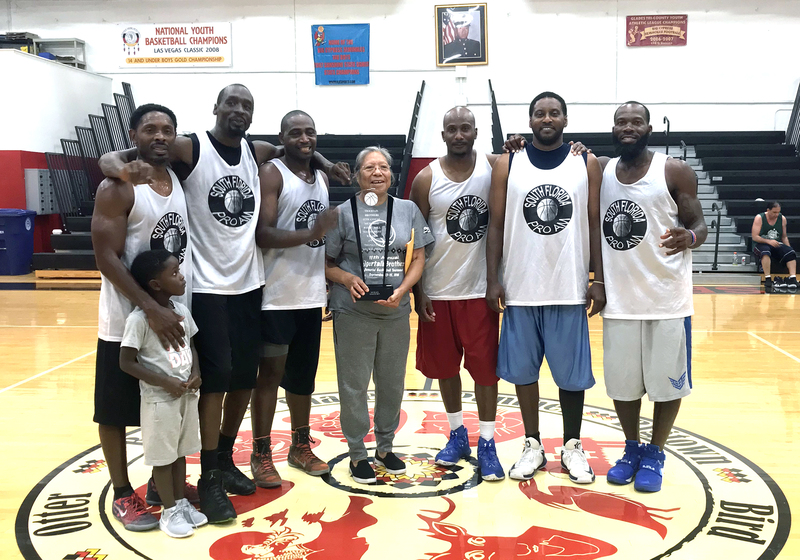 Sunday Basketball defeated Magic City for the men’s legends championship in a battle between two Miami teams. The men’s legends attracted eight teams; the women’s legends featured just two teams. 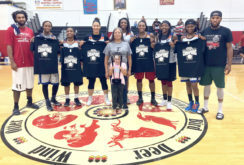 X-Factor’s legends team, an all-Native squad with players from Arizona, New Mexico and Washington, flew cross country and played only one game, but won the women’s legends title. 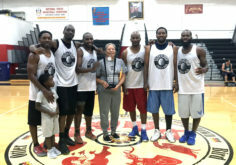 Many of their players ended up being in South Florida for just one day, but they went home as champions after one game because the opposing team failed to produce proof that its players were 40 and above. Despite their abbreviated appearance on the court, X-Factor said they enjoyed their time at the tournament. “It was fun. We know they put on a good tournament. We love the hospitality,” said X-Factor player and organizer Georgia Tsingine, who also managed a second X-Factor team in the women’s adult division. The tournament is held each year in memory of brothers Duane and Malcolm Tigertail. Members of their family, including their mother Minnie, were in attendance for all the games. Minnie presented the top teams with trophies and prizes. Before the games started on the second night, Minnie addressed the crowd and explained how much her sons enjoyed the sport. “That’s why I started this. They loved [basketball]. They had fun playing ball,” she said. 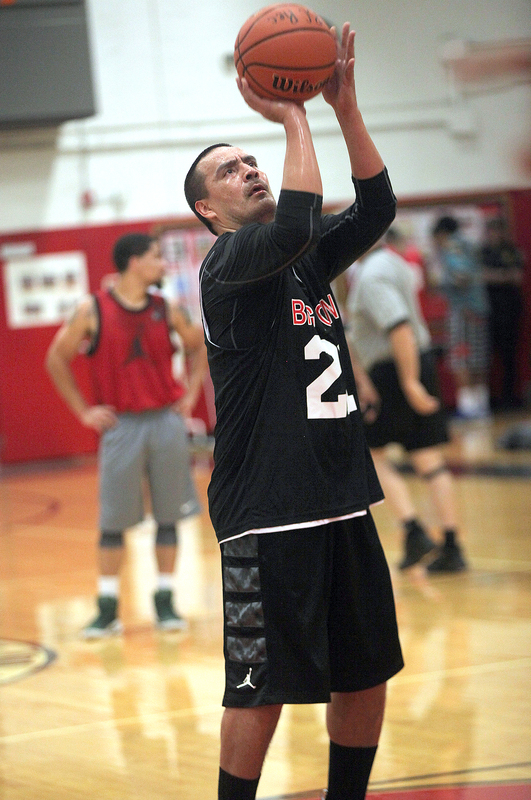 Former Embry-Riddle college star DeForest Carter returned to the reservation where, as a youngster, he watched his uncles Duane and Malcolm play. “My uncles loved to play basketball. That’s where I found my love, watching them and my mom and my grandmother,” Carter said. Carter is close to finishing his degree at Embry-Riddle in Daytona Beach, where the former All-American and Sun Conference Player of the Year holds several school records. He is currently a volunteer assistant coach on the men’s team and is already looking ahead to growing the Tigertail tournament after he’s done with school. 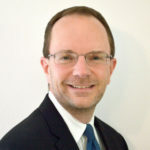 This year he helped bring a lot of the teams to the tournament just through social media posts. “Big time next year. Next summer I’m all in on this tournament. I know we can make it especially big next year,” he said. Thanks to the appearance of Shoni Schimmel, this year’s tournament had a big-time feel to it. Schimmel, a huge star in Indian Country when she played for the University of Louisville with her sister Jude, arrived at the tournament for the women’s adult division with her X-Factor teammates, some of whom also played Division I ball. After her days at Louisville ended, Schimmel has played in the WNBA. Her appearance in Big Cypress came as a surprise to X-Factor’s first opponent, the Byrd’s Nest. “It was pretty cool. I never thought I’d play against Shoni,” said Julia Smith, who played for Byrd’s Nest. X-Factor cruised to an easy win, but Smith said she still enjoyed the opportunity to face Schimmel.